Installing Shadows (1978-79) according to Andy Warhol’s precise instructions has always been tricky. Not only does this single, monumental work consist of multiple silk-screened and painted canvases (102, to be exact), but they must also hang in the round, edge to edge. The reason is to represent Shadows’s singularity, says Courtney Martin, the deputy director and chief curator of the Dia Art Foundation, which owns the work. But these requirements have taken their toll, so conservators are working to repair damage and prevent future problems. Most of the damage is confined to the edges and corners of the canvases, suggesting that it happened during the handling process, says the private conservator Nadia Ghannam. She has devised a hanging system with a handle mounted on a special backing on each canvas’s reverse, “so you no longer have to grab the paintings to install them”. Ghannam is also using gentle dry-cleaning techniques to remove a build-up of dust. Scratches are being examined to see if they are a result of the production process, and those that occurred later are being treated. Calvin Klein sponsored the conservation project and Dia’s presentation of the work, which is being shown in New York. 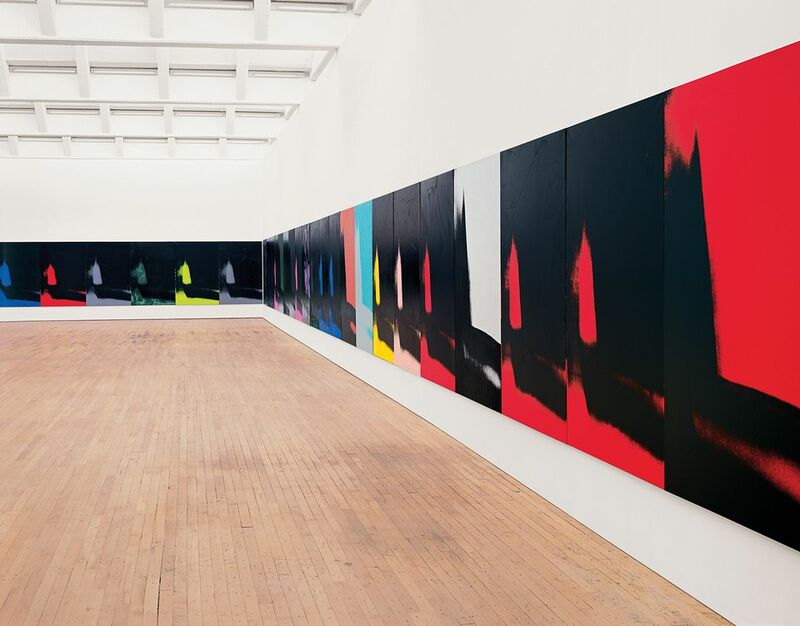 The display coincides with the Whitney Museum of American Art’s Warhol retrospective (12 November-31 March 2019), co-organised by Donna De Salvo, who worked with Warhol in the 1980s when she was a curator at Dia. “De Salvo said she’d love for us to put it on view during the Whitney show, as it would complete the whole idea she had for the exhibition,” Martin says. In 2019, Shadows will be reinstalled at Dia: Beacon in New York. Just how much of the work will go on long-term display there is still being worked out, Martin says. “I honestly won’t know until I lay out the space in January, but our goal has always been to show as many [canvases] as possible,” she says.